Your next camping trip is about to get delicious with these ridiculously Easy Camping Recipes! 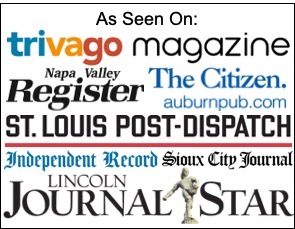 Planning your next Camping Trip? Take your camping menu to the next level with these Easy Camping Recipes! 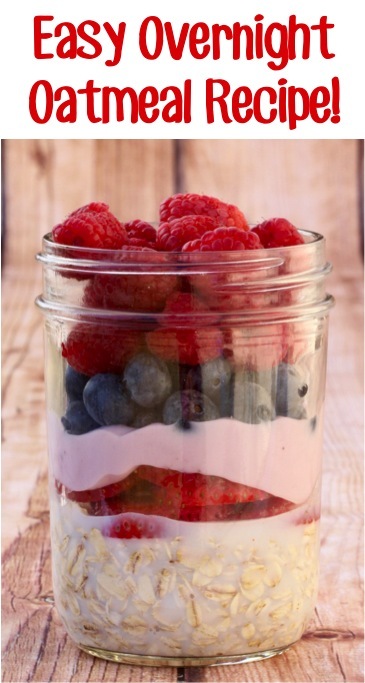 How would you like to enjoy a fusion of flavorful fresh fruit, yogurt, and oats every morning when you’re camping? Make this Overnight Oatmeal Recipe at home and pack it in your cooler. It will leave you refreshed and energized to start your day. 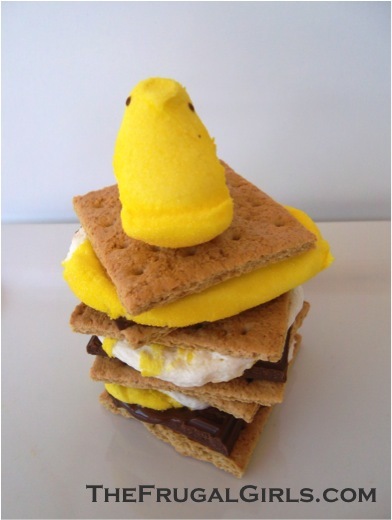 Want to take your S’mores to the next level? 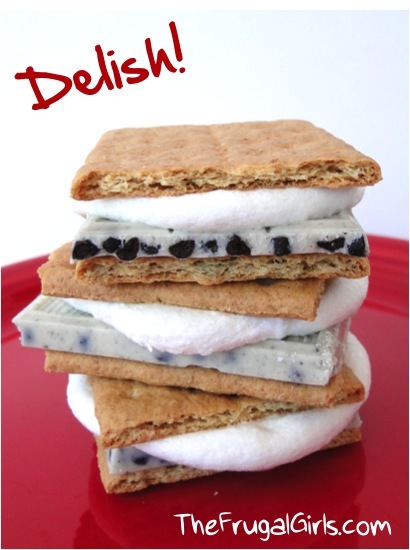 The next time you are camping, send your S’mores over-the-top with these delicious Peppermint Patty S’mores! 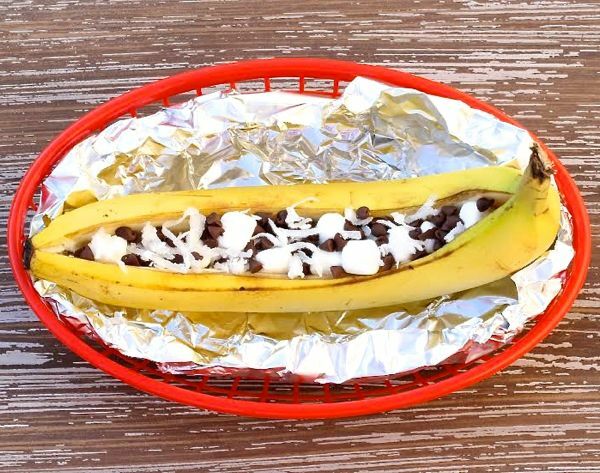 This Campfire Banana Boats Recipe that cooks wrapped in foil is the perfect addition to your camping trip dessert menu. Quick and simple to make, and SO delicious! The combination of a S’Mores and a Cookie is nothing less than pure Summer nostalgia with each bite! 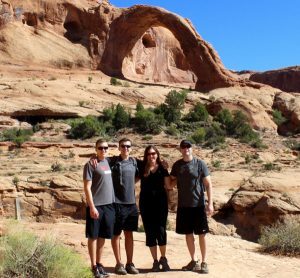 Make them ahead of time, and take them along on your next camping trip! 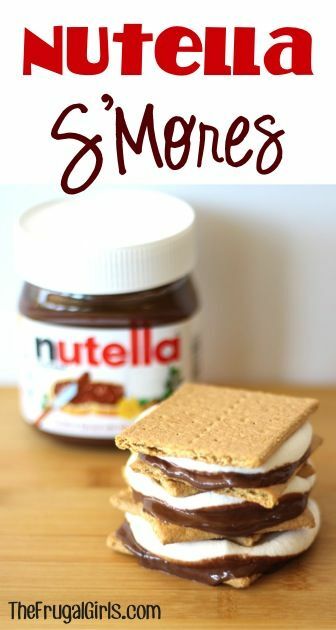 Make all your wildest Nutella dreams come true with this amazing Nutella S’Mores recipe… Yum! This Cookies and Cream S’mores Recipe will create brand new S’mores fantasies! This savory Grilled Mexican Style Corn is seriously the best Corn on the Cob ever! It cooks wrapped in foil, making it the perfect addition to your camping menu! That’s right… our favorite summer drink also makes a ridiculously delicious chicken marinade! The blend of savory garlic and lemonade tang make the flavors pop! Pack the marinading chicken in your cooler, then grill it up on your portable grill when you’re camping for a delicious dinner! 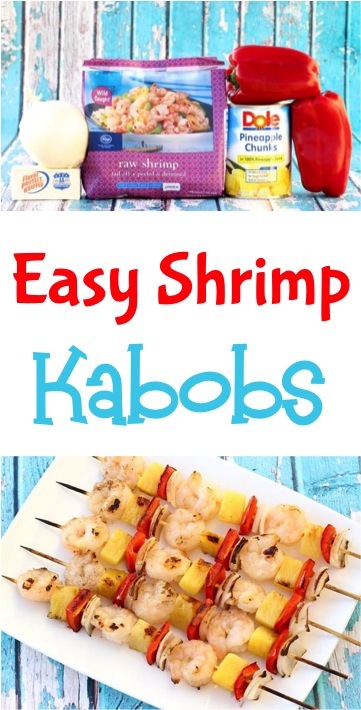 Go gourmet at the campground with these delicious Grilled Shrimp Kabobs. So yummy, and the ultimate Summer camping dinner! You’ll love to add this perfect Greek twist to your grilled chicken with this Greek Chicken Marinade Recipe. 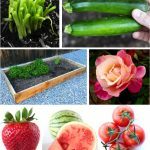 This is another one you can get started marinating before you leave the house, pack it in your cooler, and grill it up at your campsite! Lobster while camping? Why yes… yes, please! Impress your family and friends at the picnic table with this EASY Grilled Lobster Tail Recipe! Just 4 ingredients, and you’ll be the superstar of the campground! Add a splash of summer to your chicken with this easy Lemon Lime Chicken Marinade Recipe! This Lemon Lime Chicken tastes AMAZING right off the grill! Do you need an easy BBQ Steak Recipe for your next camping trip? This easy Barbecue Steak Bites Recipe is the definition of deliciousness! Plus, it’s so easy to make you might have just found your new favorite Grilling Recipe! Pack your marinade bags!! This Easy Chicken Marinade is one of my favorite Easy Camping Recipes! Foil packet recipes are perfect for camping! Take your favorite fish to a whole new level of flavor excitement with this easy Garlic Parmesan Grilled Salmon Recipe in Foil! Making daydream-worthy salmon has never been simpler than with this easy Grilled Teriyaki Salmon Recipe! Bring the tropics to your camp table with this delicious foil packet Salmon! Want to know the trick to grilling Cod? It’s the Aluminum Foil… and the fresh squeezed Lemon Juice… and the Butter!! This delightfully delicious Grilled Cod Recipe is more proof that everything is better with butter… and SO easy to make when out camping! Fire up the grill and get ready for some amazing steak with this Easy Steak Marinade Recipe! I love grilling up steaks when out in the woods… it doesn’t get much better than that! 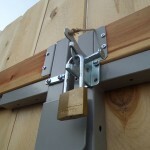 Camping with your RV or Trailer? 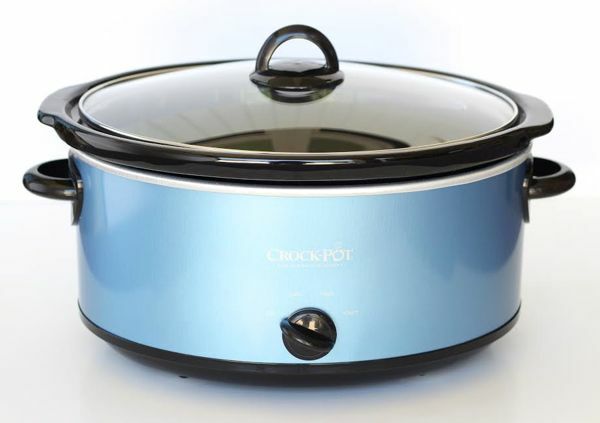 Be sure to check out these Best Slow Cooker Recipes Ever!